The professional whitening that we offer through our office is a wonderful way to remove stains and improve the overall appearance of your smile. There are two methods for whitening. One is to remove stains caused by drinking coffee, tea, wine, and also smoking. The other is to bleach discolored teeth (we commonly call "bleaching", "whitening".). We apply the "Air Flow" technique to remove stains, in which special powder and pressure work as remover. For bleaching, we have a home whitening technique as a foundation and apply a laser technique using a special photo catalyst. “Using a photo catalyst” is a state of art technique. We used to do a laser technique solely, but we found out it is not effective enough to get a satisfactory result. We occasionally use a laser technique solely for customers who are busy for a home whitening and who have a difficulty of wearing mouth trays. Healthy gum is a foundation for oral health. Regular gum check-up and removal of dental plaque and tar-tar are very important. Get a clean and beautiful smile by removing the stain! We apply a jet flow technique using special powder. Too much usage of ultrasonic and polishing paste could harm teeth enamels. Wear whitening trays with whitening gel at home For 1 to 2 weeks. Dual whitening is the most powerful and effective way for teeth whitening. We apply home whitening as a basis and apply office whitening technique (laser whitening) in a designed interval. We use special powder for office whitening, and it could reduce a possibility of hypersensitivity. 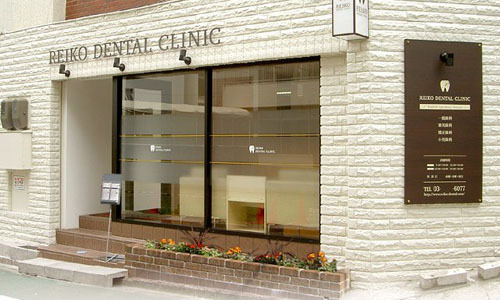 The merit of office whitening is one session whitening and performed at our clinic. However, we feel sorry to say, but the result of office whitening solely is not as satisfactory as the other methods. We recommend office whitening to customers who don’t have time and have a difficulty of wearing mouth trays. If you want to have much more brightening teeth, porcelain veneers could be another choice. Veneers are thin shells of porcelain that cover only the front portion of your teeth. Veneers can straighten, lengthen teeth, close spaces between them and change their color. Veneers virtually become part of your teeth, and the end result is a beautiful and natural looking smile.